You may have noticed that my posting hasn't been as regular in the last couple weeks :( I'm sorry about that! I have gone back to work full time again and now that it is Christmas, things are super crazy here. I think things will slow down a bit in a couple weeks, and I will get back into it I promise! I love how this turned out - don't you? Until next time, Kim XO. 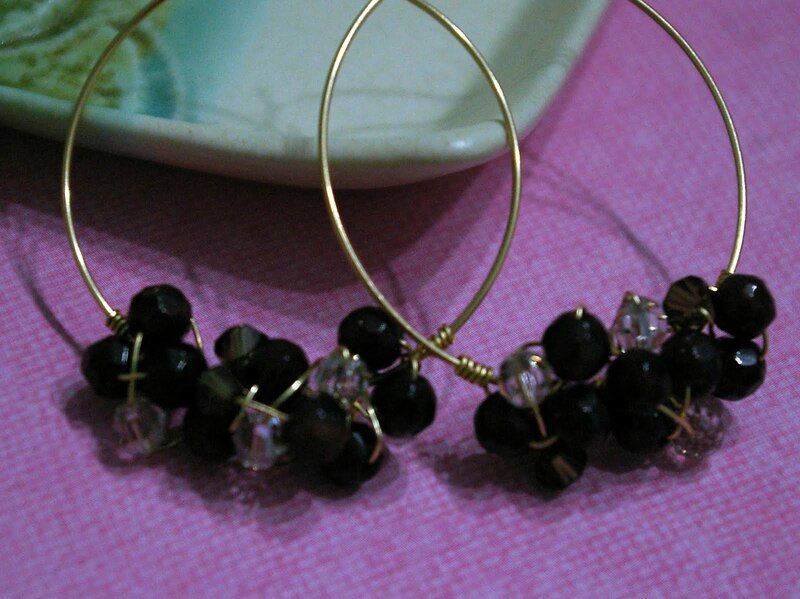 being a pretty pair of Azalea earrings. for your chance to win these!!! I am offering 25% off all One-Of-A-Kind pieces!!!! And many more in my shop :) Always FREE WORLDWIDE SHIPPING too! the rikrak studio MEGA handmade giveaway!!! including moi :) Hurry over there now and enter!!! Giveaway ends Dec 3rd :) Good Luck! When I first entered SpiderellaStudio, I was immediately blown away by how beautiful and professional it looks! All of the colours are truly eye-catching and you know how I love colour :) I even love how the items are merchandised - plain white backgrounds really are the best choice when you're pieces are so statement making. 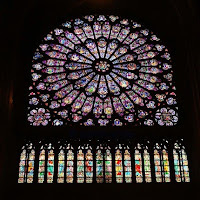 Great photography too, very easy to see every detail. Really I could go on all day long! SpiderellaStudio incorporates uncirculated vintage enamel flower beads from the 50’s, 60’s, & 70's remixed and revamped with newer components into new designs. 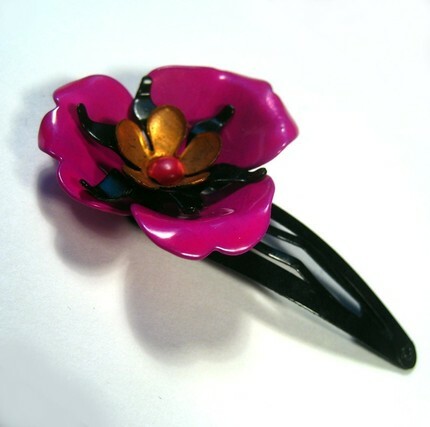 The shop has a great mix of funky flowers in distinctive shapes and colours, which is what gives it such an eye-catching look! There is also a great selection of rings, bracelets, necklaces, and hair pieces to choose from. 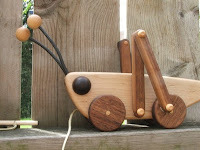 Any of the pieces in this shop would make great Christmas gifts! 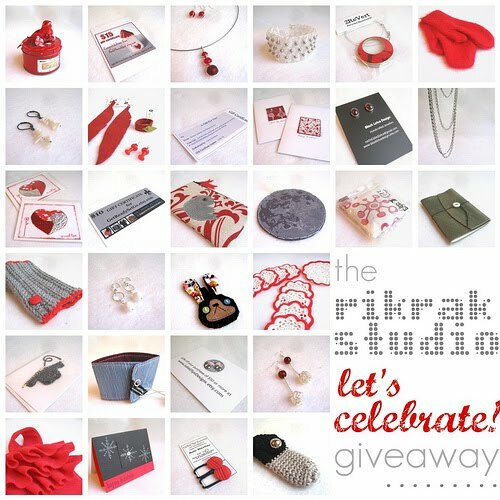 If you don't know already, the rikrak studio blog is hosting another GIVEAWAY highlighting her sponsors and I am one again this month! 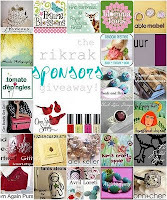 The prize is the same as last month's giveaway - a $25 gift certificate toward a purchase in any of her current sponsors shops :) She has some great sponsors so you should definitely cruise on over to her blog and check out this amazing giveaway! Have fun!!!! Until next time, Kim XO. Also I don't know how many of you know this but I am a member of the LabRats Team on Etsy and we are having a Holiday Challenge with the theme of Glistening Snow and Mistletoe. 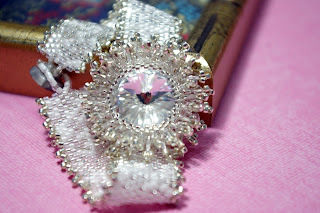 I have been working on something special to enter in this challenge and I recently just finished it, so I wanted to share some photos of it below - and I would love to know what you think of it! It will also be listed with my Holiday Limited Edition items so you can purchase it if you really love it! I want to know what you think!!!! Please let me know in the comment section below. P.S Sorry no Wishlist Tuesday tomorrow..... too busy to window shop this week! 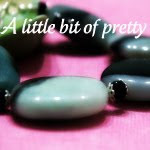 Here I am again - Kim from A little bit of pretty - with your weekly installment of New Canadian Shops on Etsy. 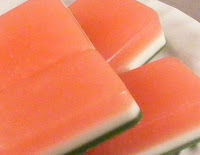 This week I am featuring Maple Creek Soapworks . So let's begin shall we??? Maple Creek Soapworks opened shop on Etsy in January 2009, and already have a wide range of products. There are bath soaks, lotions, lip balms, solid perfumes, and a Premium Line of products they call GlacierSpa that includes (for now I'm sure) an Anti-Aging Moisturizer, a Botanical Toner, and a Creamy Green Tea Cleanser. 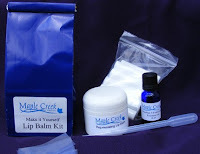 They also have products for tattoo care and make your own lip balm kits. I am particularly intrigued by the bath soaks - especially the muscle soak. I am plagued by a stiff back and headaches dues to hours and hours spent beading and making jewellery, and am wondering if this might remedy or alleviate the tension???? Maybe I'll have to buy some to find out! There are also bath soaks for cough and cold symptoms and a couple lavender blends that would do nicely right before bedtime! So check out this new up and coming soaperie - they are also having a Christmas sale right now of 15% off all items in the shop! Happy shopping :) Until next time, Kim XO. Here is this weeks' edition of TGIF- get ready to shop, shop, shop! 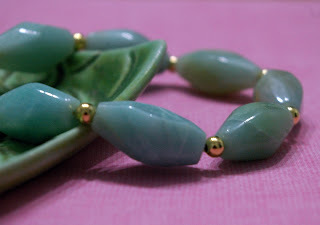 This week I decided to put together some items that would be great to buy "for her". These are also some of my favourite Etsy shops as well :) So without further ado - get ready to shop! 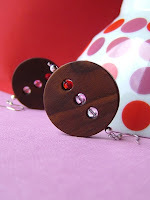 My first pick are these 3 dot earrings (love colours) by 3dots . 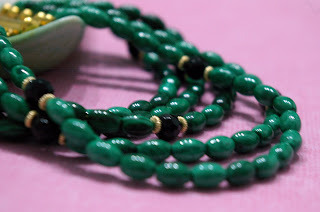 I love the shape of these, and the colour of the beads that are within the large wooden circles. I have been coveting several items from this shop for ages! 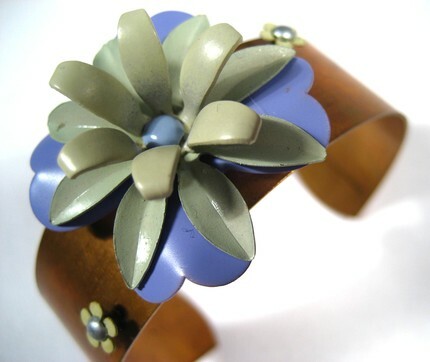 I love the look of wooden jewellery and all of the pieces in the shop are stained this gorgeous deep colour. 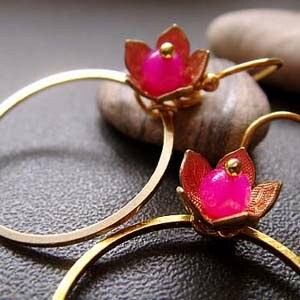 These would make a great gift for anyone who loves jewellery! Speaking of loving jewellery, what is better than a one-of-a-kind piece? 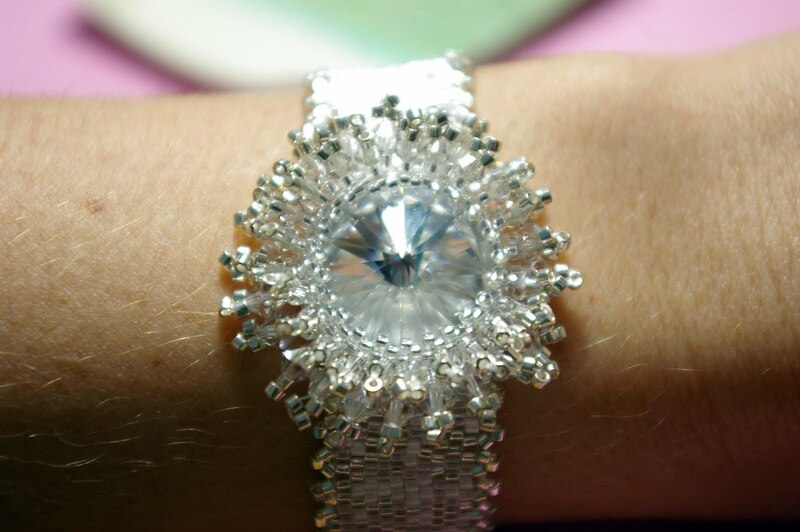 The BLUE FROST-One of a Kind Lucite Collage Art Bangle with Swarovski Crystals by CindyG's Quirks of Art is truly a unique find. 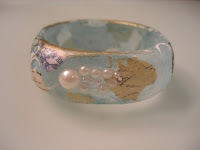 This is a stunning mixed media decoupaged bangle finished on a high quality frosted lucite/acrylic resin bracelet. Each and every bracelet in this shop is a work of art and love - a great gift idea for someone special! 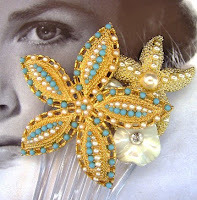 Beach Bride Hair Comb Starfish SC Ocean Star by OhFaro - this comb is so beautiful! 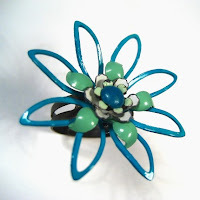 It is three vintage brooches that had been repurposed into a hair comb :) I love the way this one looks with the cute tiny faux turquoise and pearl beads - the piece is dressy but still beachy looking. Love it! The twilight collection - Esme . 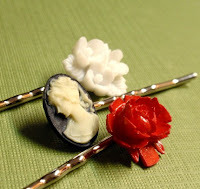 bobby pins by pandacub - Great trio of bobby pins inspired by the character Esme from the wildy popular Twilight movie of course! 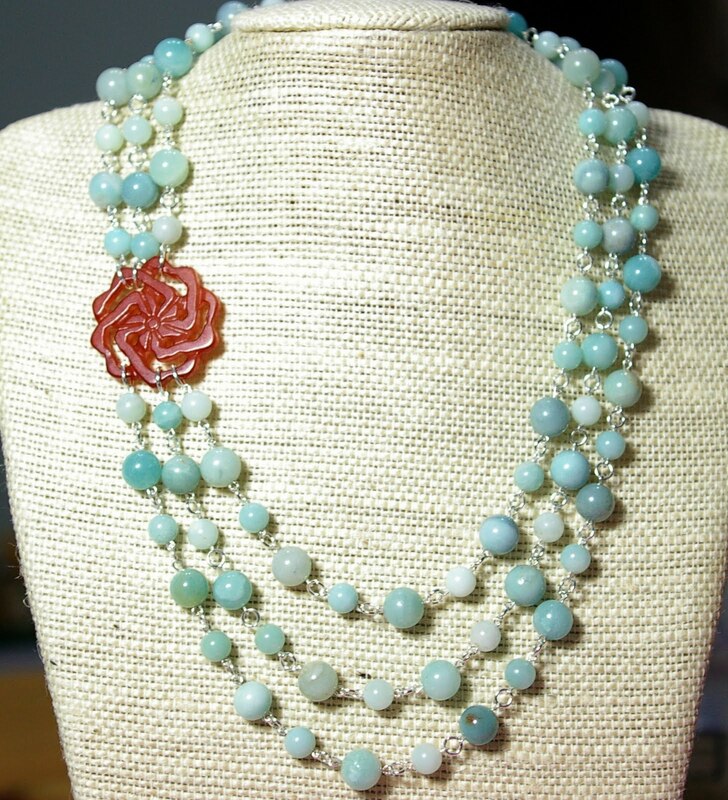 I love the colours, and the combination of flower and vintage cameo. Would make a great stocking stuffer! Blue and Purple Waffle Hoodie / size Large by Replicca - have someone on your list that hates shopping in chain stores but loves handmade clothing? Replicca has a great assortment of knit hoodies, tshirts, dresses, and turtlenecks and most of the pieces in the shop feature the same 3 colour blocking technique shown here. Very cool! Snowflakes sterling silver earrings by TDNCreations - I am totally on a snowflake kick right now, so I was really excited when I found these snowflake earrings and I HAD to include them in this Christmas shopping post! Aren't they great? 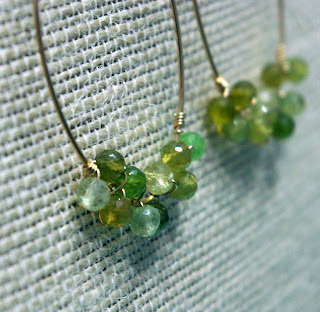 These little guys are handcut out of a textured sheet of silver and tumbled so they have a nice shine :) Love them! Well those are my picks - I hope that I have helped you out a little bit with your Christmas shopping. I'll be back next time with some more great gift ideas! Until next time, Kim XO. Another Tuesday - new Wishlist Tuesday post! 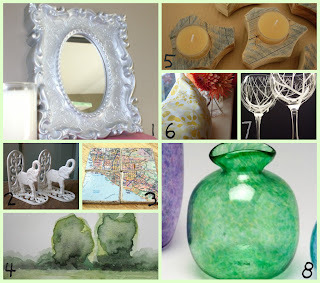 This week I have some more great home decor picks since I am constantly searching Etsy for decoration stuff :) So I have put together another collage of cute, eclectic, and unique decor items. Enjoy! I LOVE my blog followers! listing and change the price to reflect the 20% off. And shipping is FREE!!! This weeks installment of TGIF - get ready to shop, shop, shop is all about the November-babies :) I have come up with a bunch of ideas in case you are stumped and don't know what to buy.... this time of year can get that way. Everyone is in Christmas mode, and it seems right from the start of November, those of us who have birthdays in November sort of get lost in the holiday spirit. I should know - I am a November-baby myself! 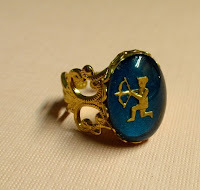 So I have put together a list with a range of ideas, from birthstones to zodiacs. Have Fun! This ring has been on my wishlist for weeks! They are so cute, and I love the vintage feel of them. 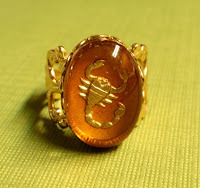 There is one for every sign of the zodiac with the corresponding "birthstone" colour - Star Sign rings by pandacub . 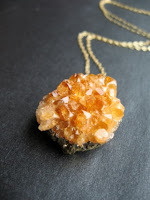 My next pick is this Gold Shine - Citrine Quartz geode dipped in 22K gold by mycellardoor . 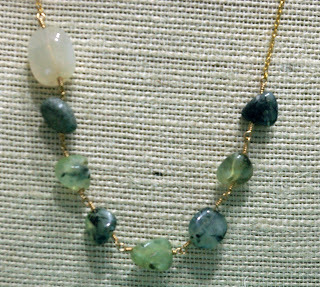 I am in love with this necklace! 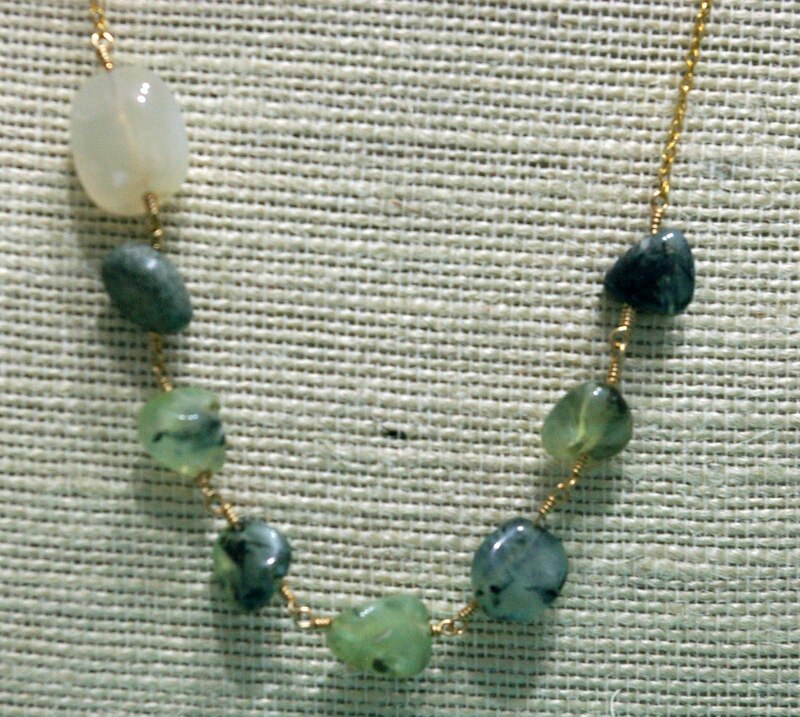 there is nothing I like more than seeing lovely gems in their natural state. I guess that's the geologist in me :) This citrine geode pendant is dipped in gold and hung from a 14K gold chain. What a lovely gift this would make! What about some great artwork with a zodiac theme??? 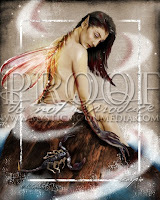 I am a huge fantasy and sci fi geek so I am loving the way the artist has portrayed the scorpion and saggitarius in these prints - I would definitely love to hang one of these on my wall. 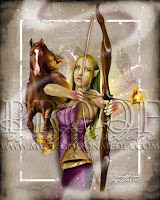 Zodiac Collection - 5x7 Matted Print by mysticmoonmedia - these prints come in your choice of zodiac sign and all are free to ship! 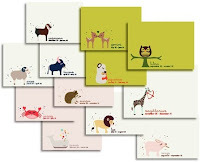 How about a set of handy Cute Animal Zodiac Multi Note Cards Set by Cuore. 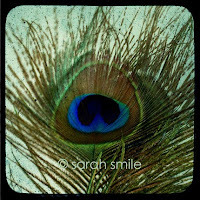 These note cards are blank, A2 size, come in a choice of 3 paper colour choices, and is a set of 12 (one for every zodiac sign or your choice of one sign on all 12 cards). These are really handy to have around - how cute wold it be to send notes to all your friends with your "signature" zodiac sign on them??? 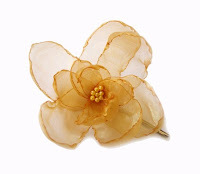 Just looking for a little something to give as a gift? 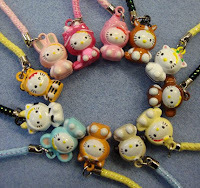 How about a Custom Hello Kitty bell phone charm - zodiac crystal inlay by sachicrafts or The Snake key ring by JooSweetie . 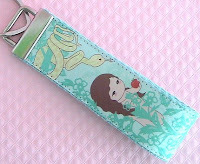 The key rings come in your choice chinese zodiac sign (in my case - Yes not only am I a Scorpio but I was also born Year of the Snake ;) ) and the bell charms have a choice of strap colour and crystal colour. 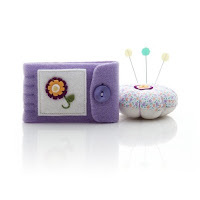 I have lately become very intrigued by felting. In fact there was a lady with a booth at the quilt show I attended last week who did nothing but felt. I was mesmerized by the array of items on her table! Here I found this wonderful Cobweb felt scarf - Autumn leaves OOAK by vilte that is in a beautiful citrine shade! And it is a one-of-a-kind! Well thats it - Happy Shopping :) Until next time, Kim XO. Hi everybody I'm back again! 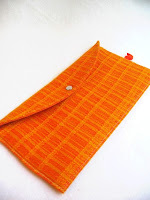 I'm Kim from A little bit of pretty with this weeks' New Canadian Shops on Etsy feature. 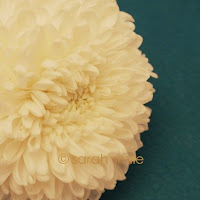 This week I am featuring Photo Atelier because I simply adore Sarah's style of photography! 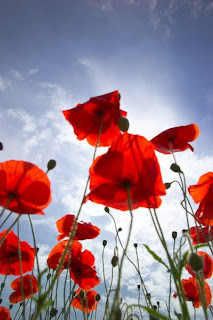 As I have previously mentioned I love photographs of landscapes, and flowers, a quaint little village shots. Sarah's shop Photo Atelier has all these with a few vintage and inspirational shots thrown in. I love all the extreme closeup floral shots and the nature shots - these are the kinds of photos that I like to take myself, but of course they never turn out as well as Sarah's do :) I think the reason I keep featuring artists and photographers is that I really really wish that I could do what they do, half as well as they do it! I am so jealous! Enjoy! Until next time, Kim XO. Wow, October is over already! Can't believe it :) Well now that Halloween has come and gone, I am looking forward to Christmas! My favourite part of Christmas is the bundling up in layers, sitting around drinking hot chocolate, being with family, playing in the snow, and eating way too much turkey!!! So as I start gearing up for the season, I start thinking about buying gifts and what I want to wrap them in. My favourite colour scheme is white and silver, and I love anything with snowflakes! 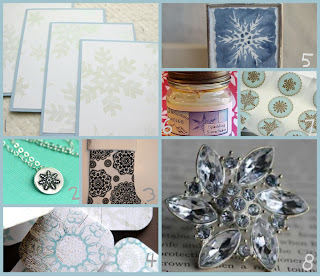 So here is my new Wishlist Tuesday post with a snowflake theme. Enjoy! Well my first GIVEAWAY has come to a close and its time to pick a winner! draws number 24!!! The winner is .... pippirose! 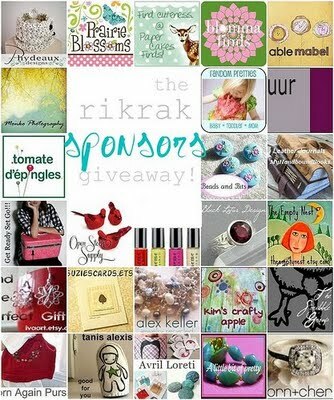 giveaway such a huge success! Watch for the announcement coming next week! Kim XO. What's New? IndieNorth Gift Guide! Whats new everybody???? I have been super busy this week - on Tuesday I went back to work and struggled all week to get my blog posts done! You may have noticed that Fridays TGIF post was never posted :( Sorry about that! I had every intention of getting that up, but when I got home from work that night I discovered that our sick kitty couldn't wait for his vet appointment so we took him to emergency that night! Don't worry, he's a-OK :) Just an eye cold is all. We were there late too, so that is why the post never aired - but don't worry it will be posted this week instead Yay! 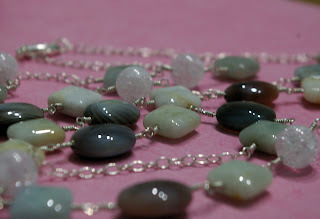 Also lately I have been working on some special new pieces for the IndieNorth Gift Guide which airs today! 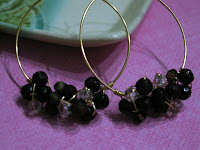 You may have noticed that they have their own page in my shop too :) If you hadn't, I am posting the photos below. 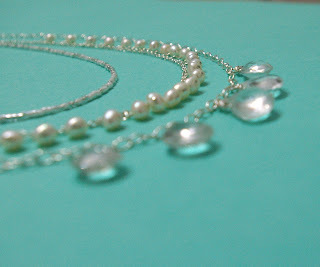 I have also been working on a top-secret item for a special giveaway..... 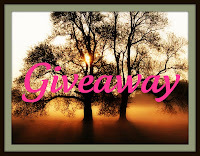 I can't tell you who is doing the giveaway yet, but as soon as it is announced I sure will! That's all for now - tomorrow I announce the winner of my first GIVEAWAY!!!! Good luck everyone :) Until next time, Kim XO.